Unleash your creativity with Cosmetology training! Your skills will always be in-demand and with a wide variety of career options available, you have many choices in this exciting field. If you are creative and love helping people look and feel their best, this could be the ideal career path for you. 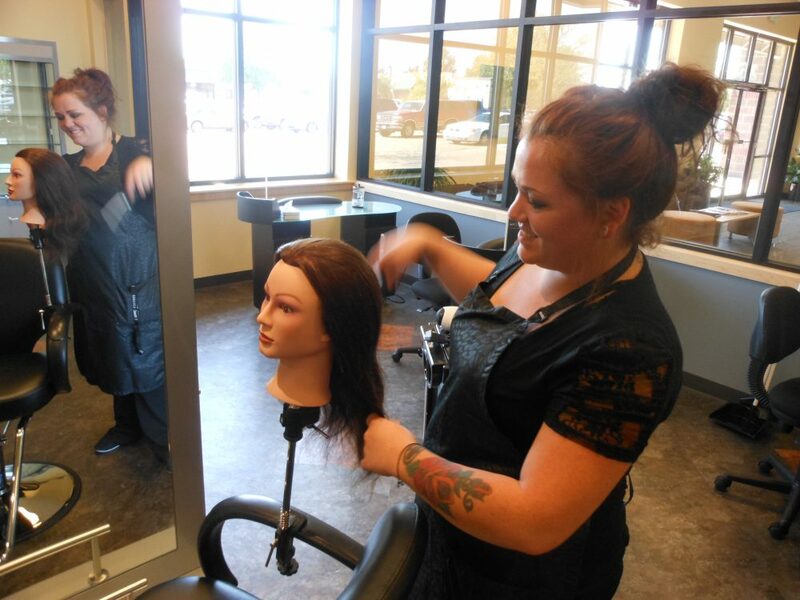 Our cosmetology program teaches the basic foundations for haircutting, haircoloring, hairstyling, makeup artistry, and manicuring techniques. As a licensed Cosmetologist, you will have the career you have dreamed of working in a salon, spa or on your own! 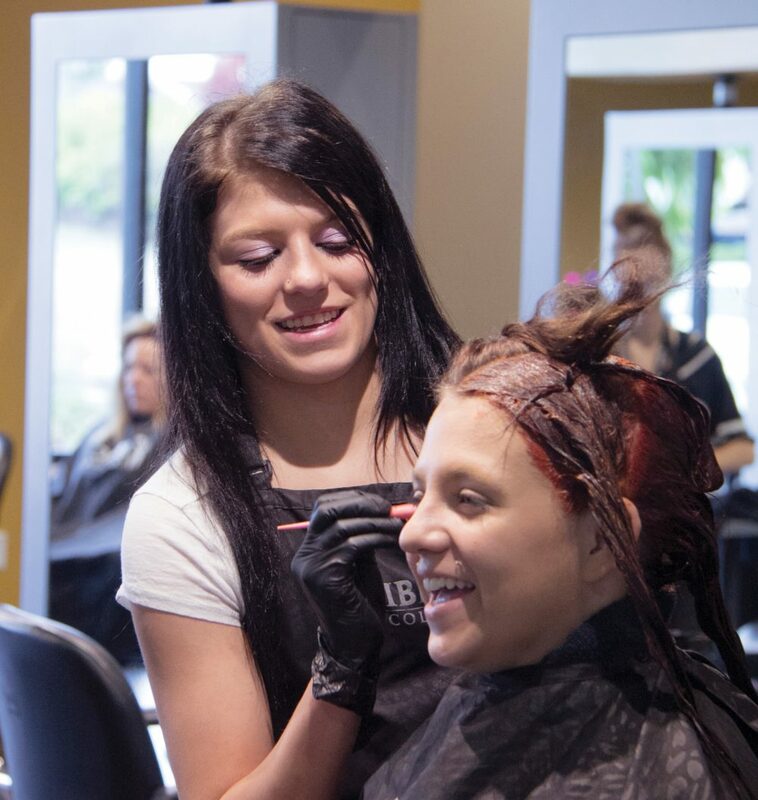 Earn Your Cosmetology Diploma in as little as 13 Months! At IBMC College School of Cosmetology, student success is a top priority. Every step of the way is student-focused, from the time you apply to your graduation. You will receive individualized instruction from skilled educators in hairstyling, nail techniques, skincare, salon and business management. Individuals gain valuable experience in the beauty field, both through lecture classes and hands-on practice by working on models and guests in the Student Beauty Services Clinic. Students will also build a strong foundation in safety and hygiene, professional work habits, product knowledge and business fundamentals — all designed to prepare you for the State Board Examination. 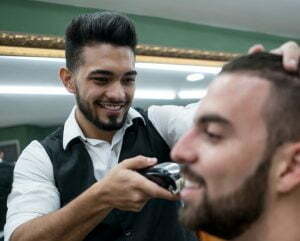 During these events, you may perform haircuts and hairstyling, as well as other beauty services, for low-income families and the homeless, as well as the general public. These events provide you with real-work experience that you have use to enhance your resume when looking for that first career opportunity after graduation. 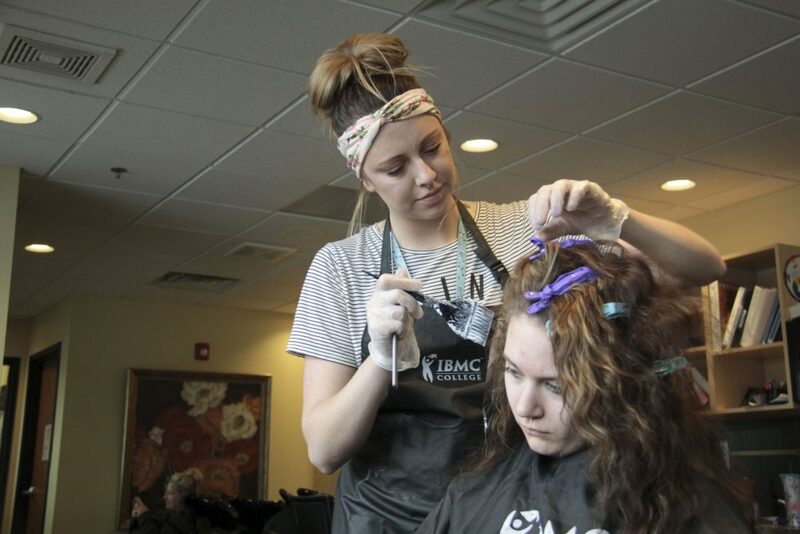 IBMC College Cosmetology students gain real-world experience by perfecting their skills in the on-campus Student Beauty Services Clinics with supervision by licensed educators. 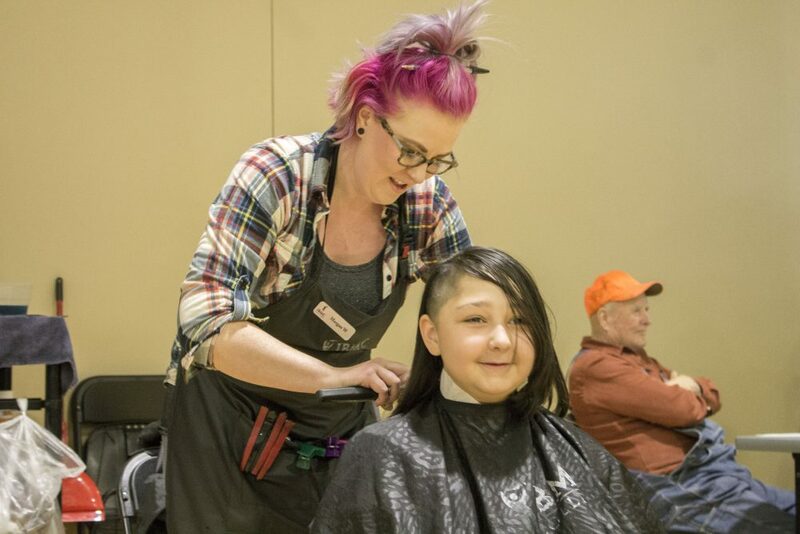 Students will interact with clients to master hands-on practical skills and perform services for a variety of hair and skin types. 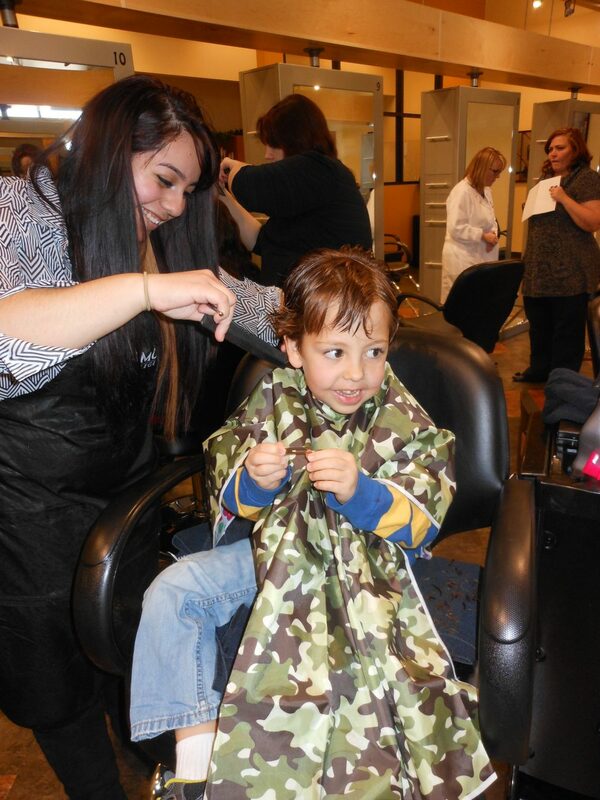 In addition, students will develop positive and professional readiness for salon success. Licensed Cosmetologists work in a variety of beauty settings. 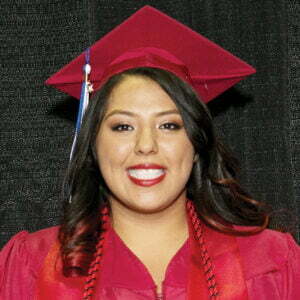 Many of our graduates go on to become hairstylists, health and beauty spa workers, and makeup artists. *IBMC College’s Cosmetology Diploma program may be completed in as little as 13 months. Premium Hair Kit with upgrades that includes a shear set, feather razor, flat iron, curling irons, blow dryer, brushes and combs, capes, tint bottle, spray bottle, apron, clips, manikins, jumbo duffle bag with wheels and plastic tote organizer. Nail Kit that includes an acrylic kit, odorless acrylic kit, manicure bowl, nail brushes, files, manicure kit, apron, practice hand and fingers and duffle bag. 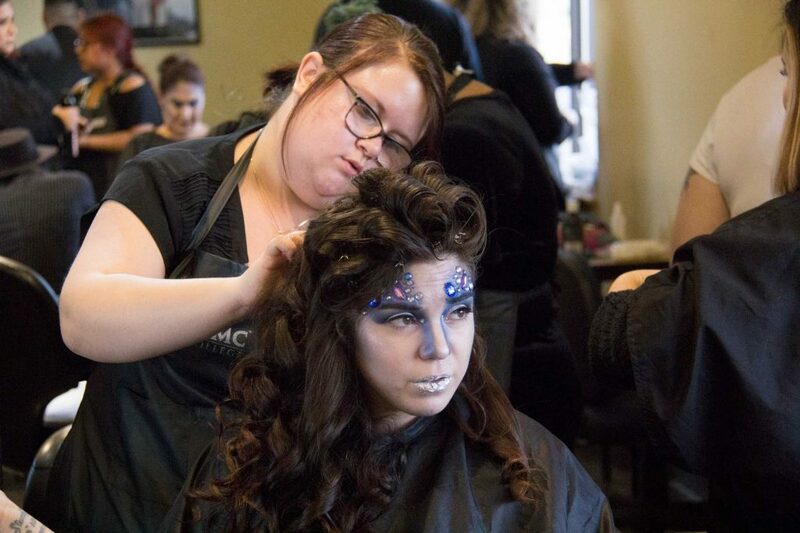 IBMC College’s Cosmetology diploma program is offered at all three of our campuses across northern Colorado — making it easy for you to fit your education goals into your schedule and lifestyle. 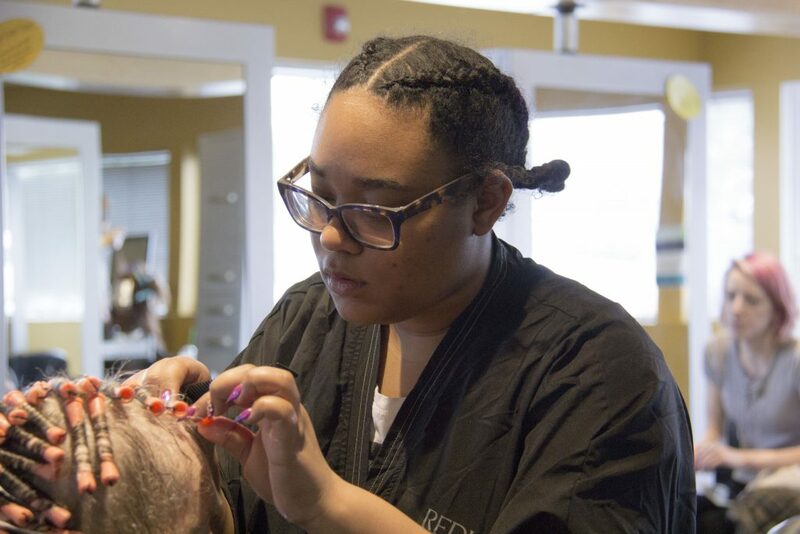 Plus, as part of our commitment to accelerated training, we offer class starts for our Cosmetology program multiple times a year — because when you are ready to change your life, there is no reason to wait. *Program kit is not included in your tuition. IBMC College’s Cosmetology diploma’s Program Kit is required to buy and costs $1,600.